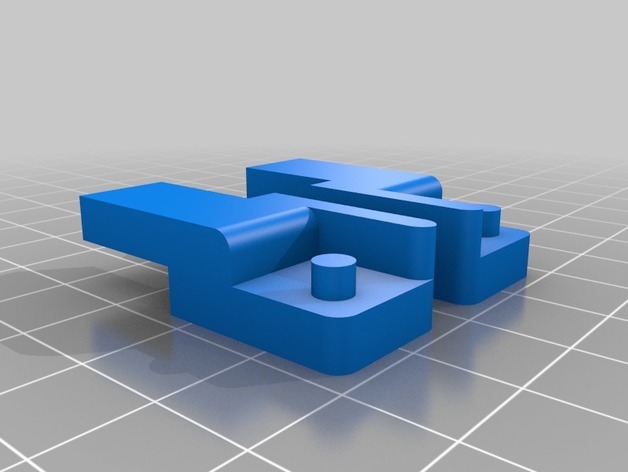 I started a collection of Thingiverse.com of various accessories for the Flux Delta that people have created. If you’ve created or found something that’s not on the list, let me know and I’ll get it added. Accessories and mods specifically designed for use with the Flux Delta. 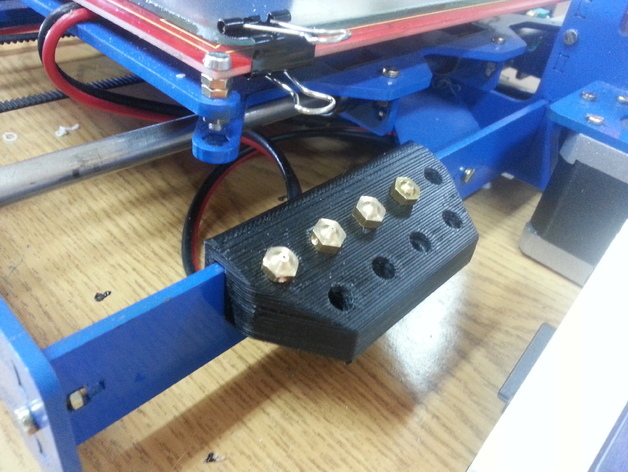 Things like filament holders that are generic and not designed specifically for the Flux Delta will not be included. Great Job! Keep up the good work!!! I think you linked to the wrong Thing because that has nothing to do with the Flux Delta. And don’t forget to tag your things with “Flux”, “Flux 3d”, and “Flux 3D Printer” when you publish them. That’s another way to help other Fluxers find your things. I added a scraper holder that I remixed to the collection. It clips on nicely, and decently securely to the top of the Flux (if you have the lid removed). That’s very nice, but how did you take the top lid off? Do you have to take the top cover off first in order to take the lid off? Nope. When you lift the lid up, there is a certain angle where it will just pull of with a very slight amount of force. What is the angle approximately, I don’t want to force it at the wrong point? The amount of force is pretty light. I would say it’s roughly comparable to pulling out a USB drive. 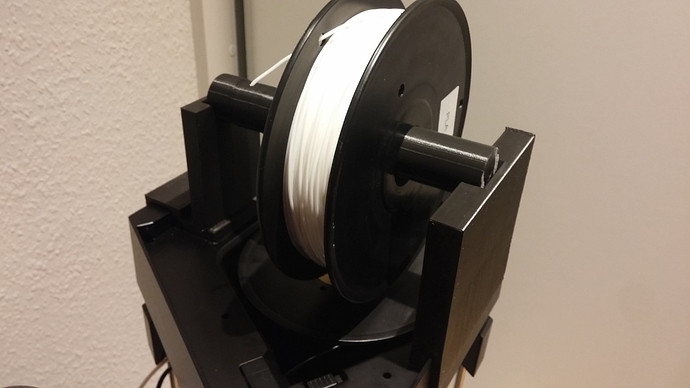 I’m currently running a print, and with my current setup, I can’t test it out for you. If you look on the lid, you should see an open groove where it can be removed. It’s a C shaped hinge socket with a rectangular peg in it, kind of like an old truck tailgate. When it’s fully open, you can just lift it out. It’s not a dangerous feeling amount of force, you’ll get it. Thanks, I’ll try it later, I also started printing a 15h job, the Roman Coliseum from Thingiverse. I used Cura to generate the gcode, hope it finishes without problems. Just curious if anyone has printed my Scraper Holder (http://www.thingiverse.com/thing:1533464) or anything else from the collection. How are they working out for you? Found anything new I should add? 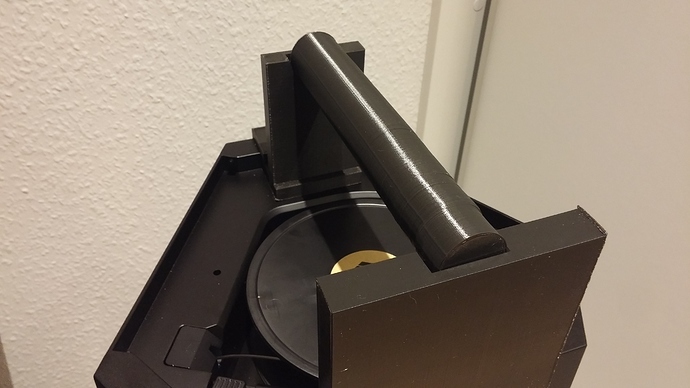 I have printed the scraper holder, the cover for the inside, the nozzle holder, the usb c clips - All working awesome… I also printed the filament holder that goes over the middle of the machine, and I printed the tube holder in two sizes. One for the Flux 500g filament holders and a larger diameter one for larger spools. I do no lay the filament inside anymore, and I do not get clicking anymore, and I’m using the oil/filter with the sewing machine oil. 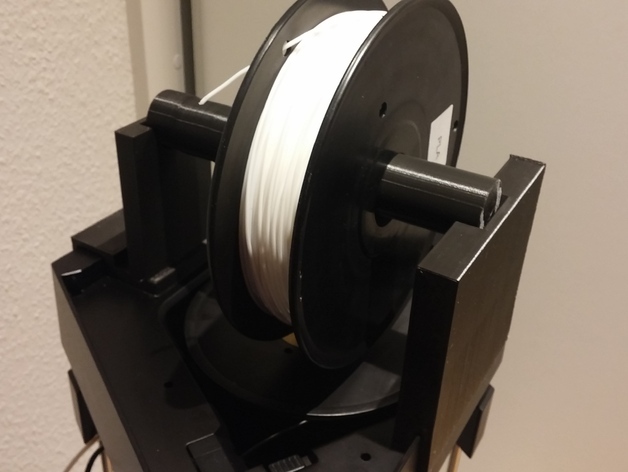 I printed this, with two different filament folder rods, one for the flux filament reel and one for filament reels that have larger holes. Great Job on this holder!!! thanks, I am also really happy with it as it makes the print better instead of the horizontal angle. I’ve added some new things to the collection. If you have made or found something that’s specifically for the Flux Delta, post a link here and I’ll add it.